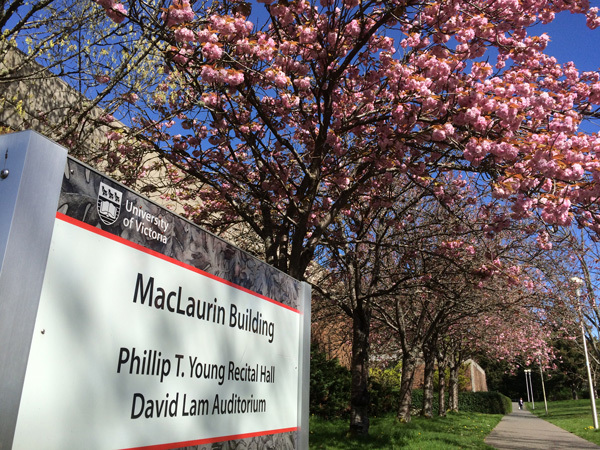 The David Lam Auditorium is located in the A-Wing of the MacLaurin Building at the University of Victoria. The auditorium and washrooms located on the main floor of the MacLaurin A-Wing are wheelchair accessible. The MacLaurin Building is accessible from Parking Lot E. Overflow parking is available in Parking Lot 6. Pay parking is in effect on weekdays and evenings. Parking is free on Sundays.